How many bugs have you, or your teams, missed that were clearly easy to spot? Testers approach all phases of testing hampered by their own biases in what to look for, how to go about setting up and executing tests, and interpreting the results. Understanding your biases, preconceived notions and ability to focus your attention are the keys to managing cognitive bias in test design, test execution and defect detection. This webinar will provide an understanding of how testers’ mindsets and cognitive biases influence their testing. Using principles from the social sciences such as Kahneman’s framework for critical thinking and Chabris and Simons’ findings on attention, perception and memory, this presentation will demonstrate that you aren’t as smart as you think you are. Gerie will show how to use this information to understand the impact of cognitive bias on testing and to improve your individual and test team results. 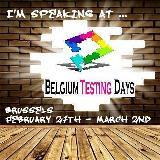 Gerie will discuss the balance between functional and exploratory testing; you will learn how to use each effectively. Finally, Gerie will provide tips for managing your biases and focusing your attention in the right places throughout the test process so you won’t miss that obvious bug. This entry was posted in Uncategorized on August 9, 2018 by gerieowen. Continuous testing is the process of executing automated tests as part of the software delivery pipeline. It provides rapid feedback on the business risks associated with a software release candidate. Clearly, continuous testing requires automation, however, it encompasses much more. It is an approach to managing risk by focusing on not only on improving testing efficiency but more importantly, increasing the effectiveness of our test processes. Continuous testing requires not only continuous risk analysis and process improvement and implementation of automated these through the entire software development process; but also, developing a culture in which the entire team is responsible for quality. Listen in on my podcast with Tom Cagley to learn more. This entry was posted in Uncategorized on July 23, 2018 by gerieowen. Most professions change and evolve and yes, some even die. Our testing profession has undergone so much change and much of it is truly disruptive. Many of the changes have caused us, as testers, to question whether or not our profession has ceased to exist. The good news is that as long as there is technology in our world, it will need testing. And as history shows, technology will grow and change in ways we cannot even imagine. The pace at which technology, and approaches to its development, will continue to increase. New worlds will be spawned continually, and sometimes disruptively. Our role and our responsibilities as testers will continue to evolve and change and we will be challenged to expand our knowledge and skill sets in order to contribute and grow in this fast-paced climate. The World Quality Report 2016-17, https://www.capgemini.com/thought-leadership/world-quality-report-2016-17, discussed current trends in quality assurance and testing. Among those were Digital Transformation, the Internet of Things, Security Testing and Agile and DevOps. Let’s review these trend-setting brave new worlds and the skills we will need to embrace them. The majority of consumers today have embraced technology and as a result they expect to transact with organizations through multiple channels. Therefore, digital transformation is not only inevitable, but imperative for all organizations. More importantly, customers not only expect a seamless experience across all digital channels; but also, they demand applications that are intuitive, easy to navigate and perform consistently. As testers in a digital transformation, our role goes beyond testing. We are the customers advocates and the guardians of the organizations’ reputations. We all now live in the Internet of Things. From smart phones to voice controlled personal assistants, we are all interconnected to “things”. Comprehensive testing in this brave new world involves not only testing the devices, platforms, browsers and the various combinations thereof, the applications themselves as well as their integrations and, perhaps most importantly, the interaction between the device and the human being. Risk analysis is critical as the number of test scenarios expands exponentially, given all the types of functional and non-functional testing that is required. As testers, we are challenged to employ our skills in, mobile testing, usability testing and as well as our understanding of customer experience. We are all responsible for security testing. Security is an overarching concern in all of our brave new worlds, most especially in mobile, the internet of things and digital transformations. Security breaches can be more far-reaching and have more severe consequences than almost any other type of production failure. Security testing starts during design; as threats and vulnerabilities and defects often require design changes. Security testing invites testers to reverse their thinking; it’s about proving that the application doesn’t have threats and vulnerabilities as opposed to finding bugs. The competitive climate in almost all industries dictates a need for increased speed of delivery and information technology departments have responded by moving to Agile and DevOps methodologies. Since quality and speed of delivery are opposing goals, testers must find new approaches in order to streamline testing, maximizing both effectiveness and efficiency. Testers are challenged to find their role on Agile and DevOps teams. The team approach in these methodologies relies on all team members taking responsibility for testing; however, the tester must assume the role of championing quality through the development process. In Agile’s test driven development, testers pair with developers in order to create the test cases prior to development. In addition to our test automation tools, testers have the opportunity to become creative by using BDD, Behavior Driven Development, mind maps and model-based tests. Finally, the importance of colocation of Agile teams create a challenge for our Test Centers of Excellence that rely on distributed test teams. DevOps, with its focus on continuous integration and even continuous delivery, poses the same challenges to streamline testing, yet increased. DevOps is a mindset that focuses on communication and collaboration among developers, operations specialists and quality assurance teams, so testers must embrace collaboration while at the same time ensuring that testing is done throughout the continuous integration cycle. Clearly, testing is in a state of transition. Testers must not only learn new technical skills, develop streamlined testing approaches, as well as become the advocate for the customer; but also, adapt to and find their place in Agile and DevOps methodologies. And yes, that’s a huge challenge! I’m sure you all have heard, at least once, that testing is dead. However, according to Techwell’s inaugural survey, The State of the Software Testing Profession 2015-2016, https://www.stickyminds.com/state-software-testing-profession-results-2015-2016 , 84% of survey respondents disagreed. No matter what technology or development methodology is used to develop software, the software will need to be tested. Testing won’t die! How we test, when we test and what tools we use and even whose role it is to test will continue to evolve and change. Testers, welcome to the Brave New World of Testing. This entry was posted in Uncategorized on August 23, 2017 by gerieowen.